When I first stumbled upon the decorated cookie I was smitten! Meaghan posts the neatest and cutest ideas… she always inspires! And not such a grand execution. 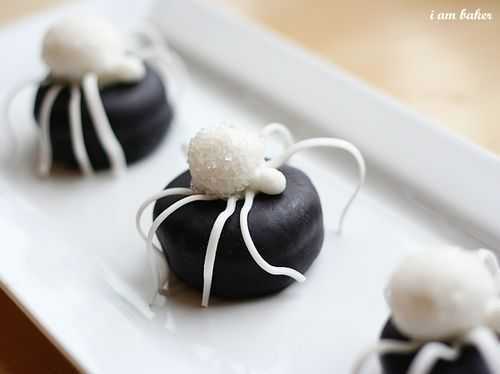 I wanted to make spider petits fours. I think they ended up being sort of a cross between a box elder bug and a black widow. To make these I used Oreo Cakesters, fondant, and a little sparkle stuff for the white ones. I cut out strips of fondant for the legs, placed them over a piece of rolled up paper to dry, and hoped they would in fact dry. These are after FIVE days of drying, and the legs still did not holdtheirshape. I think I might need to venture out of my safe fondant world and try some gum paste. We'll see. Heh. I was tryin' I tell ya! Tryin' to make something of these weird spider thingies! 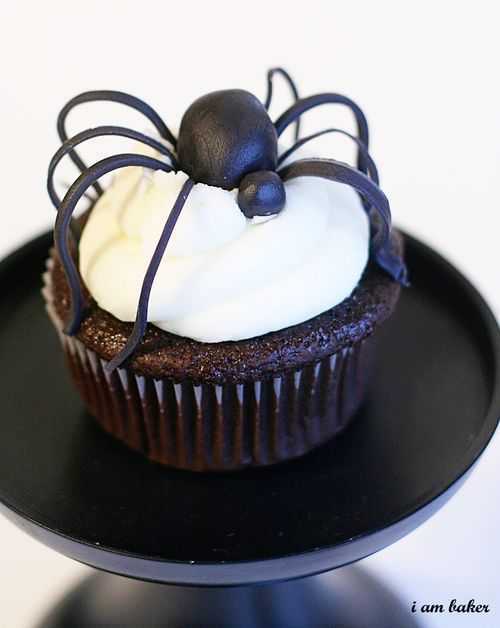 So then I remember I had some cupcakes left over from a charity event so threw a spider on it. Wow. Not so itsy bitsy huh. 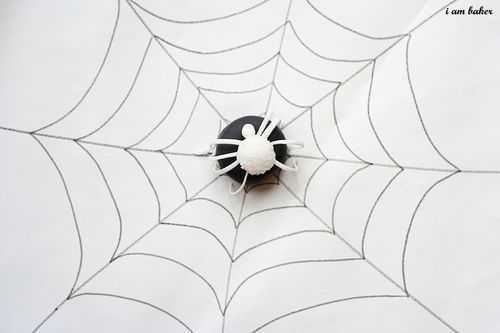 I have ONE more Halloween inspired cake that I would love to share, but this week is crazy busy with cookies orders, so I am just hoping like crazy I can get to it. I do not think I can wait one whole year to share. Although I probably should. How adorable! I love their creepy little vibe! I love these! I think they are adorable and so NOT full of fail. Great job and thanks for sharing! These critters could not look any cuter! 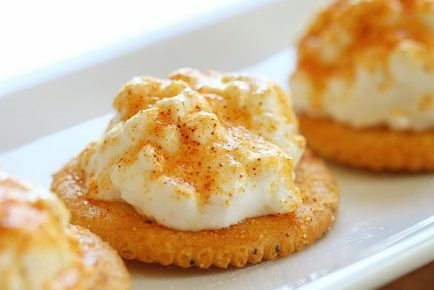 The great thing about Pinterest is, I get to find out about so many great blogs. 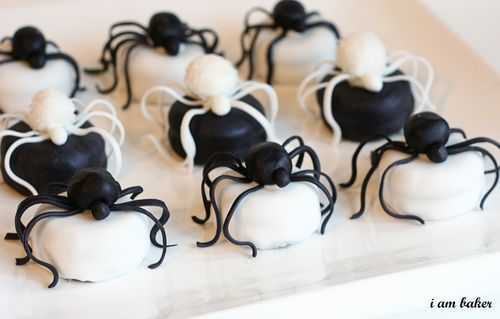 When I saw these spider cupcakes I had to click over here and check them out. 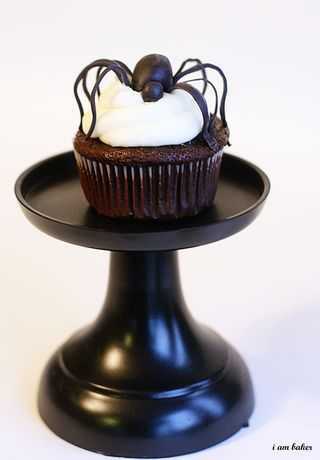 Now I hate spiders in my house, I know hate is a strong word but in this case… however, on a cupcake, adorable! I would so have fun biting into this little, er, big guy. Thank you for the wonderful post.